Could a computer figure out more about you than your own mom knows? A new study finds that it can—it’s just a matter of how many data points it needs. 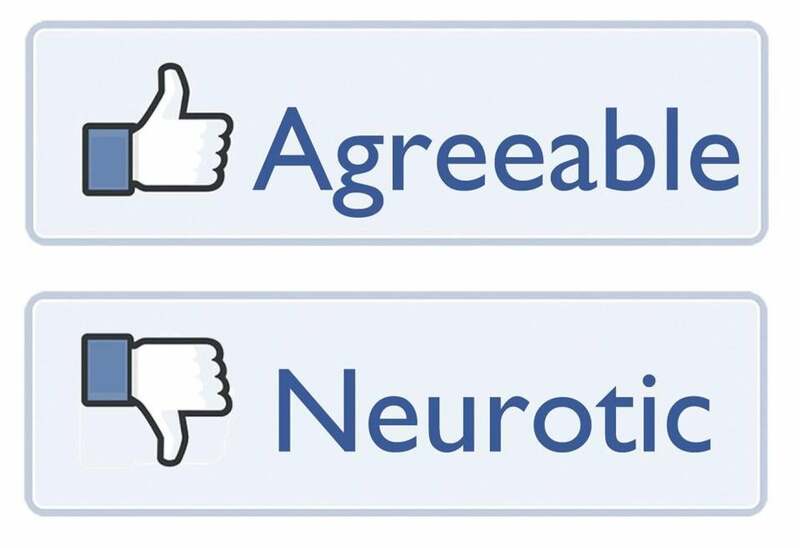 By comparing personality questionnaires filled out by thousands of Facebook users to those users’ Facebook Likes (of people, places, and things), researchers developed statistical models for predicting personality based only on knowing one’s Likes. These models were better at judging personality than work colleagues, friends/roommates, parents/siblings, and spouses, after plugging in 10, 70, 150, and 300 Likes, respectively. The personality predictions of the models were also more reliably correlated with people’s real substance use, political attitudes, and physical health. Youyou, W. et al., “Computer-based Personality Judgments Are More Accurate than Those Made by Humans,” Proceedings of the National Academy of Sciences (forthcoming). If you want the Environmental Protection Agency to pay a visit to polluters in your area, vote for Democrats for Congress; if not, vote for Republicans. At least that’s the conclusion of new research, which suggests that even low-powered politicians can have almost immediate effect on local standards. In the year after a closely decided, open-seat congressional election, a Republican victory “leads to an estimated proportional reduction in the local probability of a government environmental inspection, for a given facility, of roughly 20 to 30%.” This is an especially notable finding, given that these congressmen have the least seniority—and thus generally little power—in Congress. The authors of the study figure that local inspections respond to each congressman’s preferences because the EPA is trying to build broad support in Congress for its budget. Innes, R. & Mitra, A., “Parties, Politics, and Regulation: Evidence from Clean Air Act Enforcement,” Economic Inquiry (January 2015). As diet, work, and leisure have changed, so have we: We’ve gotten fatter. But not all of us. A team of researchers analyzed data from the Framingham Heart Study, which has tracked the health of participants for decades, and found that a particular gene associated with greater body weight became more influential for people born after 1942. In other words, our fattening environment has amplified the consequences of our genes. Rosenquist, J. et al., “Cohort of Birth Modifies the Association between FTO Genotype and BMI,” Proceedings of the National Academy of Sciences (January 13, 2015). Forgive those who have offended you—especially if you’re a competitive athlete. That’s the implication of experiments that asked participants to write about a time they were seriously offended and either did or didn’t forgive the offender. Those who didn’t forgive judged a hill to be steeper and weren’t able to jump as high—an effect that didn’t appear to be explained by differences in guilt, mood, gender, size, or fitness. Zheng, X. et al., “The Unburdening Effects of Forgiveness: Effects on Slant Perception and Jumping Height,” Social Psychological and Personality Science (forthcoming). Not that the prerecession mortgage market needs any more criticism, but a new analysis of mortgage and credit data by several economists confirms that race was a significant factor in the market. Even controlling for borrower and mortgage characteristics like credit scores, loan-to-value ratios, and expense-to-income ratios, African-American and Hispanic borrowers were more likely—by 7.7 and 6.2 percentage points, respectively—to receive a high-cost mortgage when buying a home. This was true in various cities and among people with good credit, but was concentrated in neighborhoods of low socioeconomic status. The economists found that disparities arose not out of discriminatory treatment within each lender, but from sorting or access issues across lenders or their subsidiaries. Bayer, P. et al., “Race, Ethnicity and High-Cost Mortgage Lending,” National Bureau of Economic Research (December 2014).